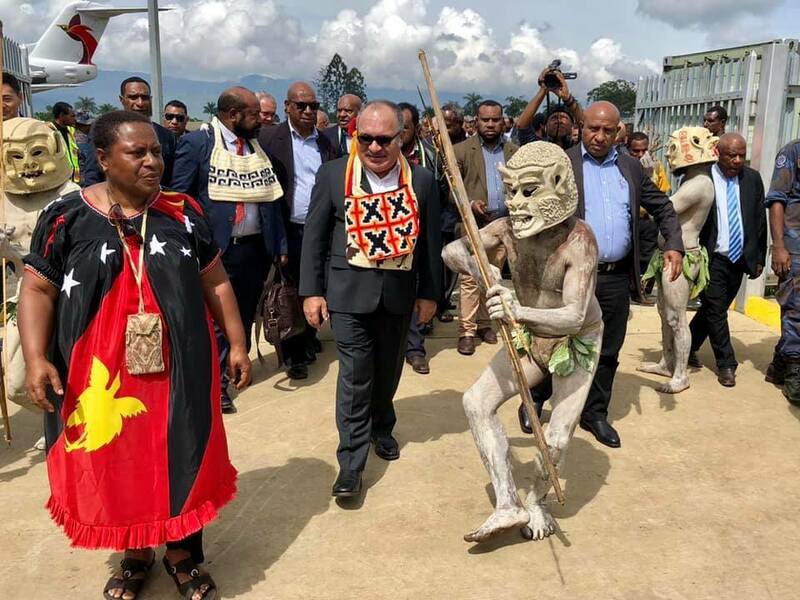 Prime Minister Peter O'Neill launched the Highlands Highway rehabilitation project in Goroka, Eastern Highlands Provinces Saturday. This puts to rest the doubts and speculation of whether or not the Government of Papua New Guinea will consider the deteriorating state of the Highlands Highway. The PMs visit to the province was intended to formally officiate the upgrade and rehabilitation work on the highway. He was accompanied by several members of his cabinet, including Works Minister Michael Nali, Lands and Physical Planning Minister Justine Tkatchenko, Petroleum and Energy Minister Fabian Pok, Agriculture Minister Benny Allen, and Health Minister Sir Puka Temu. This K3 billion highway upgrade and rehabilitation project will start from Nadzab in Lae, Morobe Province, and will go all the way to Kagamuga, Western Highlands Province. Rehabilitation of this national highway is one of the “land mark” projects of the PNC-led Government; as infrastructure is one of PNC’s pillar policies. It will signify the O’Neill-Abel government’s promise and commitment to improve and deliver quality roads in the country. This 428km road work is expected to be completed within the time frame of 10 years. Contract has been awarded to three major contractors. Metallurgical Corporation of China Limited (MCCL), China Wu Yi Ltd, and China Harbour Engineering Company Ltd (CHEC), who secured this contract through a transparent bidding supervise independently by the Asian Development Bank (ADB). PM and his delegation also made a visit to the provincial hospital in Goroka where he and the Health Minister officially opened a new Diagnostic and Surgical Centre for the hospital. A project which will cost the national government K180 million to deliver and will be able to cater for the Province's 600,000 plus population.